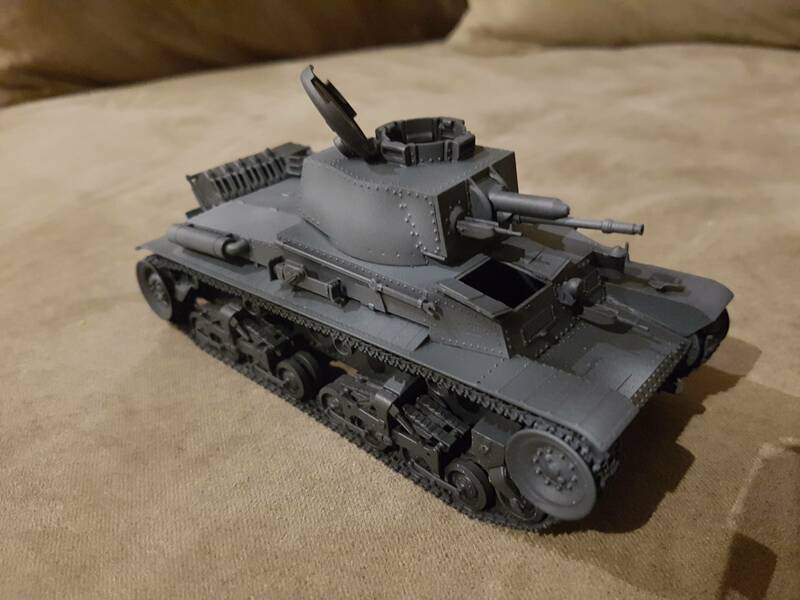 Tat - Your PZ II came out well. I like the rust on the fenders under the winter white. Angel - What an interesting paint job! Was this a type of winter camo? I am not using any photo of a winter Nebelwerfer as a reference. Just thought that they might have done that kind of "winter camouflage" as they did with other equipment. I already gave it the washes and now need to paint the oil and the mud. I want to do it in winter since there is seldom any dust covering them. Just mud and snow. All, a reminder that this campaign finishes on 01 Oct 16 (next Saturday). Almost there. Made my own base from evergreen, "tube" is kit supplied for the Croatian version with the M2 mounted. Dshk is from a Trumpy PT-76B..... wish I had a spare Tamiya one instead. It's missing some things, so I'll try and add them with evergreen. Hull is painted, first time airbrushing enamel. Tow cables are kit supplied ends with some spare wire from a Trumpy KV. Tracks assembled. Used magic tracks instead. Cleaning up kit tracks would take a really long time, they are attached at the ends to the sprues. Turret painted, going to fix up that Dshk, and add the ammo can before I finish up the turret. No way, I just enlisted, so close to the closing date! 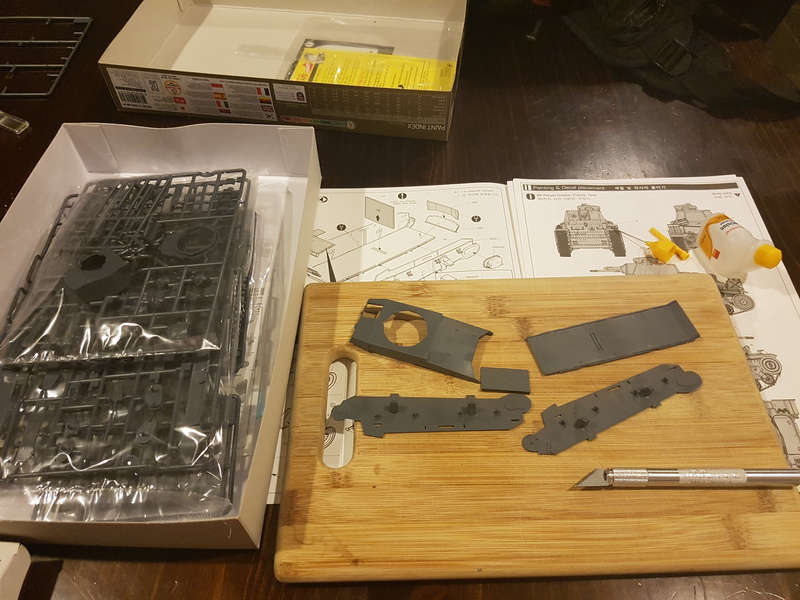 Just started my first ever scale armor kit a few days ago, the Academy 1/35 Panzer 35t. Just glue and a scalpel for me. got it all knocked up, just need to put the tracks on now. If not I'll have to put a rush on it to get it across the line in time. 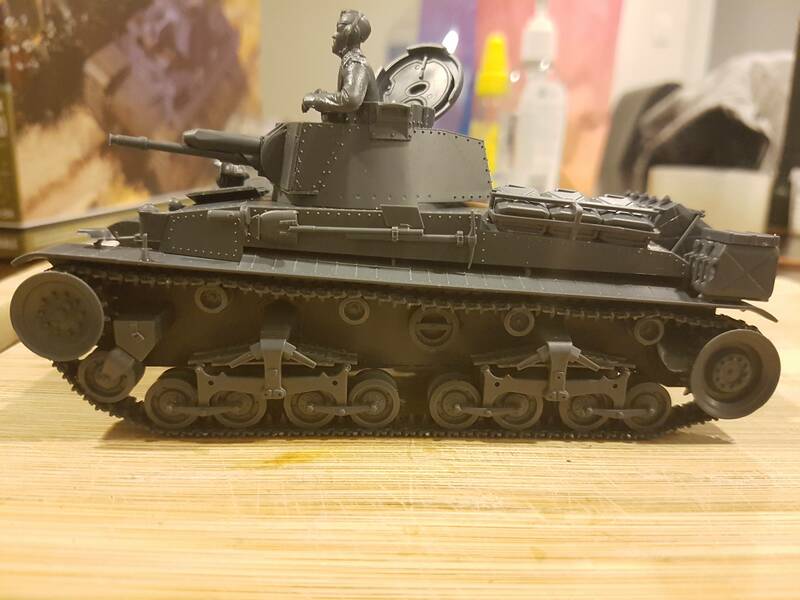 Last night I wrapped up the 1/48 Tamiya Pz.38t build. There are a few things I want to fix later. Add some stowage and do a bit more on the base, but I am calling this done, for now. 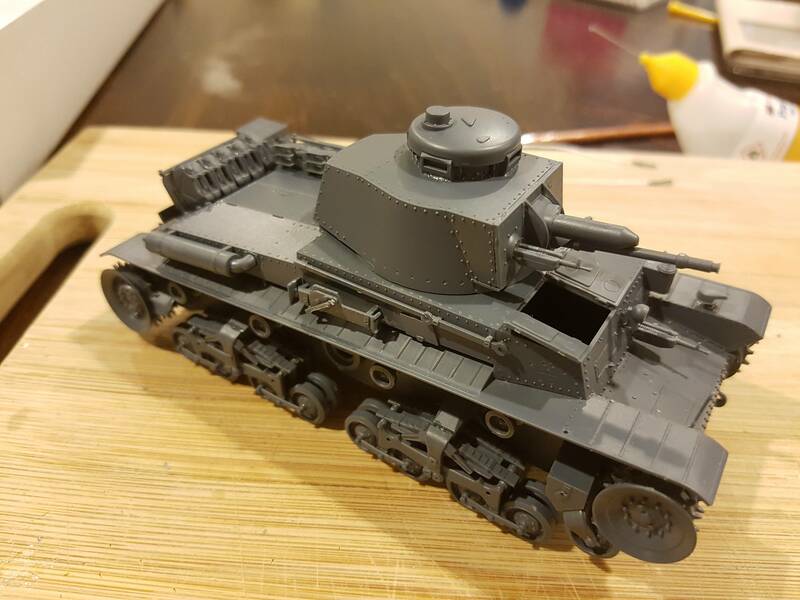 I am going to add a yellow shirt in the road in front of the tank and I am entitling this one "Le Tour de France - 1940" - A Pz.38 of the 7th Pz. Div (Rommel) races across France in the Summer of 1940. Here are a few pictures. This was a fun campaign. It was nice to get 'Back to Basics' - building a kit the way I did as a kid, just a few tools and see what you can do. I see a bunch of models nearing the finish line and looking good. Congrats to all. 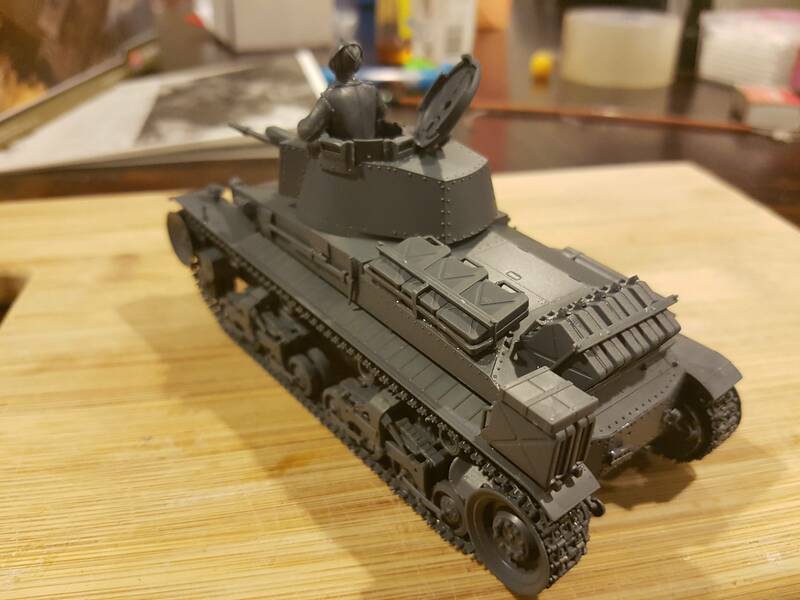 Construction of my first ever kit is complete! I havent been able to get an Airbrush kit anywhere locally though so its a 99% chance it won't be painted before cutoff!! Hoping for maybe an honourable mention, used only a scalpel and glue on this build. Steven - Your 38T came out really well. I have a number of the Dragon kits languishing near the bottom of the pile. You have encouraged me to move them up a bit. Mitchell - Your kit came out well, great first effort. 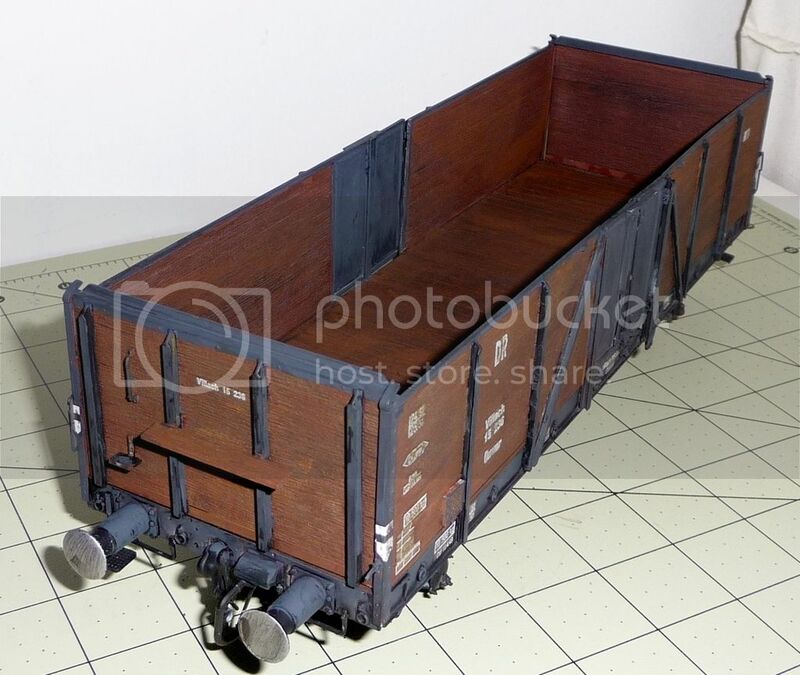 Is it an Italian tank? ComradeMP - I like your version of 4BO. What paint did you use? One of the great things about Russian WW2 colors is that there are so many variations that almost anything might be correct. I try to make each one of my Soviet vehicles a little different from the last. Which I was very happy with. 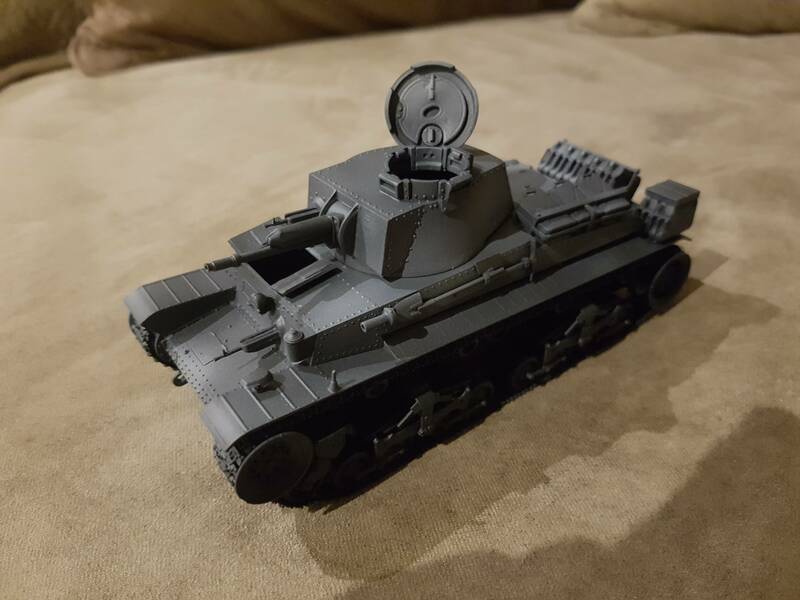 it is built and equipped in the Operation Barbarossa loadout and will have paint and decals appropriate once I get my airbrush. Thank you for the compliment. 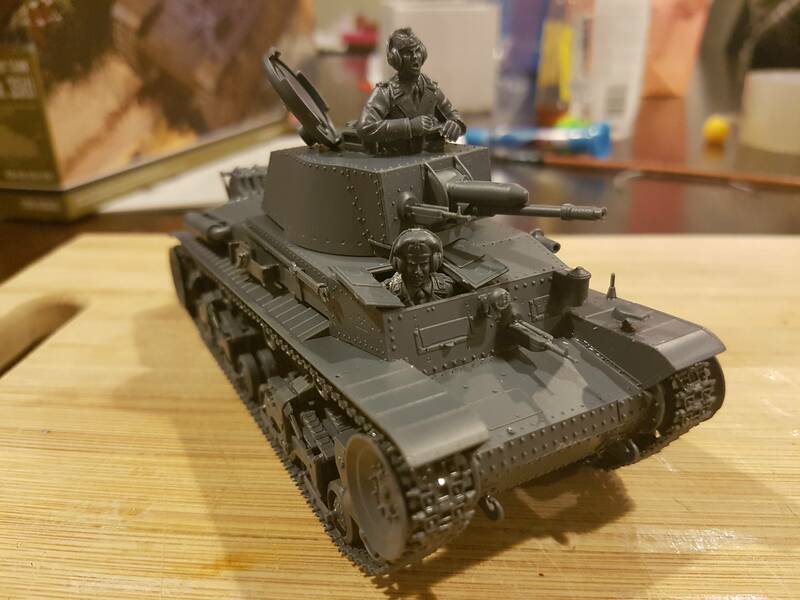 The Tamiya 38t was an enjoyable build, like most Tamiya kits. The part fit was excellent and the instructions were very clear. I hadn't done a panzer gray scheme in many years, so I wanted to try one with 'modern' techniques. I am pleased with it. The 1/48 kits are fun to build and look pretty good just OOB. Thanks for the education. I had not realized there was a 35(T) as well as the 38(T) that I was already familiar with. The road wheel arrangement really changes the look. You're welcome. I'm still learning a lot myself. Plenty of interesting and lesser known vehicles out there, I'm constantly discovering new ones. I play a fair bit of World of Tanks on XBox so I often see ones I like the look of and plan on picking up their kits in the future. Im picking up an Airbrush kit tomorrow and have the day off. My model will be painted within the next 24hrs how far from cut off are we? Here is the current state of my entrance. Don't know if I will weather it more or not. Hi all, the Back to Basics campaign has been extended to 10 Oct 16 to allow a few people to finish. I will stipulate that this will be the only extension and would strongly advise against anyone joining now. Sal, Really nice work on the rail car. Are the wood panels painted or actual wood? If that is painted, that is really nice work? Which if any paint set did you use? OK, Thanks for the information. Once again, nice work. Finished up. Made a log out of evergreen and used some sewing thread as rope. I was able to use some evergreen to add some stuff the Dshk to improve it's look a bit. Second campaign this year, two or so more to finish off. Back to the build desk! Well thanks to a 7 day work week and some other last minute stuff coming up it looks like I wont make it 100% of the way! Finished my Airbrushing but havent done my detail work yet. Happy with how it came along, being my first kit and my first ever go at Airbrushing. Hard to get a good photo without proper lighting and only using my phone. The highlights look a lot lighter than they do in person, im confident with the details picked out, a wash, and details, it will be broken up and become more dimensional and tie in better.